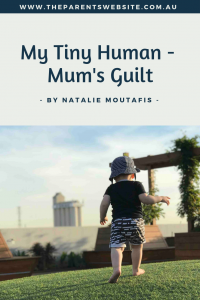 With an almost two-year-old and a return to part-time work, Natalie Moutafis is getting acquainted with mother’s guilt. Read her first My Tiny Human blog for The Parents’ Website. Mother’s guilt. I didn’t truly understand that this was a thing, or at least, I chose not to believe that it was. However, now that my son is just a few months shy of turning two (hello toddlerhood! ), I am becoming more and more personally acquainted with mother’s guilt and the associated feeling of sacrifice. When you next have a spare moment, lose yourself down the rabbit hole of social media and the multitude of posts that fall under #mumguilt. You’ll quickly see that it’s a worldwide sentiment that mothers have; even Prime Ministers feel mother’s guilt too. For me, my mum guilt is around my return to work after a period of maternity leave and needing to place my son into childcare to do so. Yes, being a parent, nay a mother, is a full-time role (albeit a volunteer and unpaid position that we’ve chosen to take on) – what could be more important than keeping a tiny human alive? But I love working and being at work, as it’s always been an enormous part of my life, so why can’t I succeed at both roles and not feel like I’m sacrificing the other? Making the decision to return to work wasn’t a difficult one. I had always intended to return after maternity leave and it was something my husband supported me in doing. 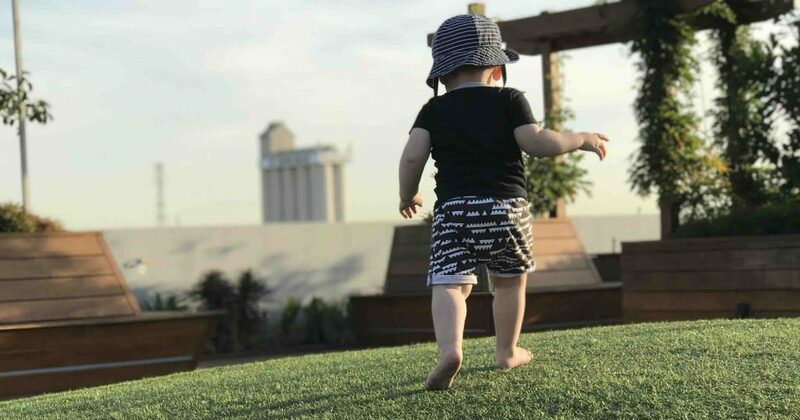 The reasons were twofold: to give our son exposure to other children (socialisation) while having access to learning experiences that educators could provide him that we couldn’t replicate in the home environment; and financially. My income helps support the day-to-day cost of providing for our family, and allows us the opportunity to send our son to childcare and other activities. These are typical reasons for many mothers to return to work after having children. However, just because I’m not alone in my motives to return to work doesn’t make the reality any easier. I find the guilt truly sets in on days that my son squeezes my hand a little tighter when I say goodbye at childcare, telling me ever so delicately that he doesn’t want me to leave. I also feel guilt at wondering if the choice to send him at all is the right one. Would he be more emotionally stable if he was at home with me instead? Or would he miss out on key educational milestones and social experiences if he didn’t go to childcare? Does he miss us too much on childcare days? Does he feel abandoned? Am I a good mother? Then I feel the flipside of this guilt. Am I letting my employer down by not being a full-time employee? Am I contributing enough? Do my colleagues think my flexible working hours are fair? Am I placing my career in a holding pattern for too long? How many work hours can I fit into a day or week and still have time for my family, husband and myself? How can I do it all? The only thing I’ve learnt, and I’m still trying to put into practice, is to acknowledge these feelings of guilt, and know that by simply feeling them, it means I’m doing the best job that I can. I’m trying not to put too much thought into which ‘me’ comes first – I’m a mother, employee, wife, daughter, friend, sister. The order in which these come doesn’t matter as long as when I’m wearing that ‘hat’, I’m enjoying that role fully and without sacrifice. Natalie Moutafis is Executive Projects Manager at ISV. This is the first of her My Tiny Human parenting blog.